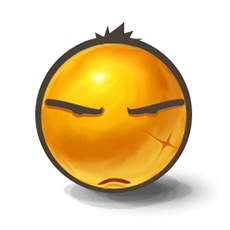 This emoticon’s lack of expression expresses exactly how you feel when someone posts about their every meal for the day, their political views, or maybe even an inappropriate description of what they did last night! We know you’ve got some FB pals that drive you mad with their posts! Everybody does! !